Cosmetic application requires the right tools to create a polished and professional finish. 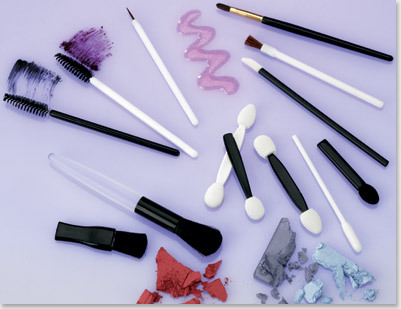 Our line of cosmetic applicators and brushes can make a difference in the look that you are trying to achieve. We offer a selection of eyeshadow and eyeliner applicators, lip brushes, lip gloss applicators, blush brushes, mascara brushes and mini brush sets.